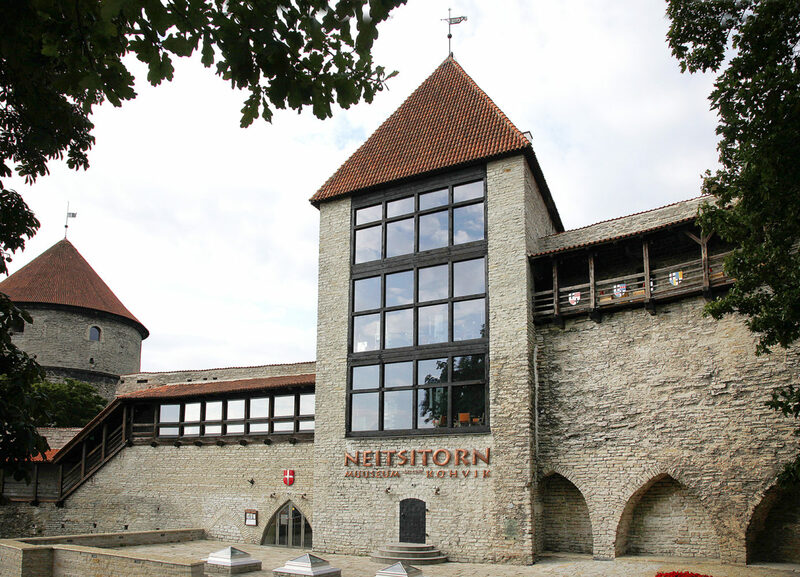 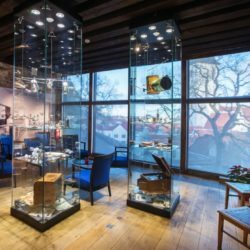 Neitsitorn is both a café-restaurant and a museum in a unique medieval tower. 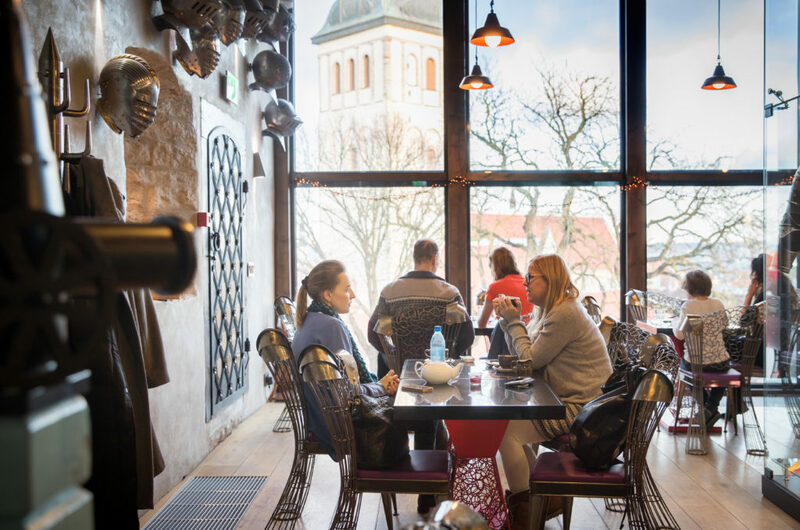 The café also serves a historical menu. 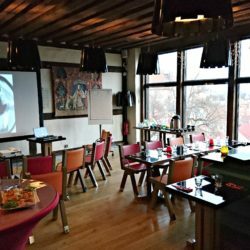 The top level of the café offers the greatest views of the town and can be used for events and seminars for up to 20 people. 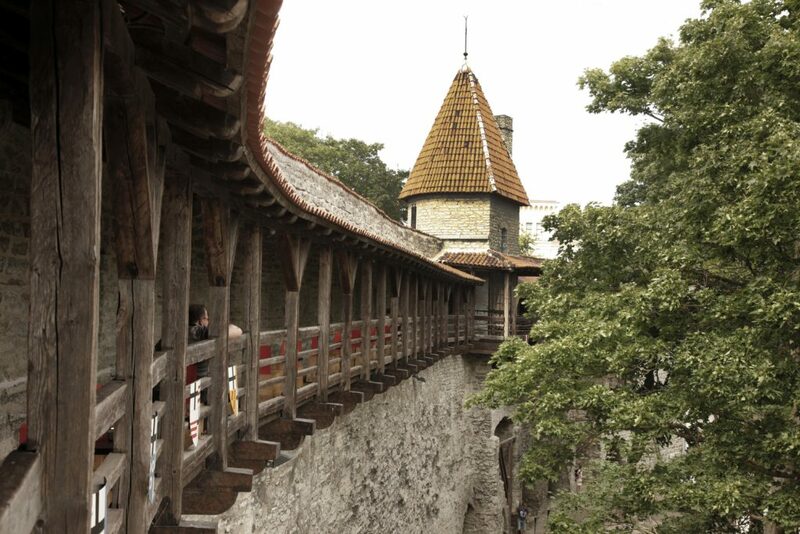 In the summer season, direct access to the neighboring KIEK IN DE KÖK cannontower and the famous BASTION TUNNELS. 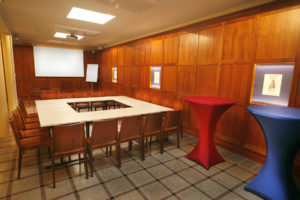 There’s also an auditorium in the underground on the ground floor that seats 25 to 50 guests, depending on the arrangement. 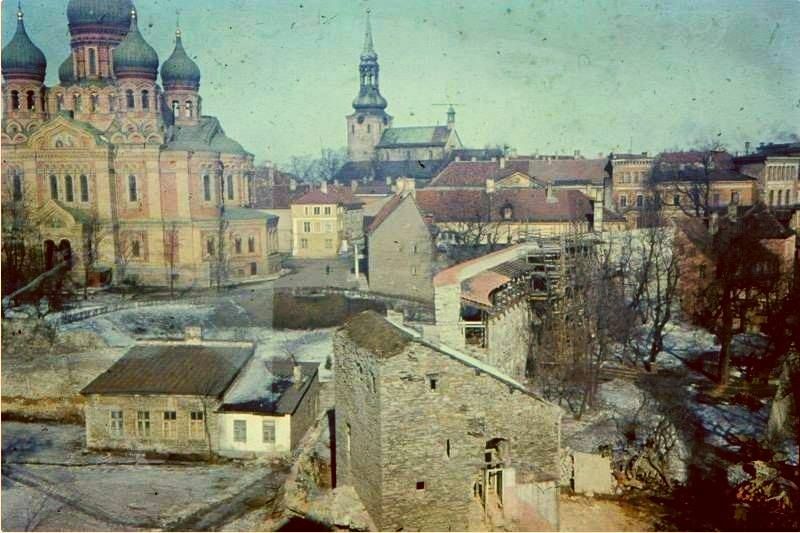 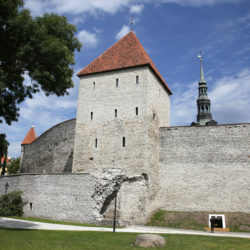 In front of the Maiden Tower the story of the city of Tallinn began in the summer of 1219. 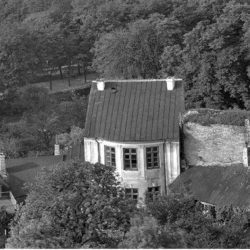 Engaged in the fierce and glorious battles to defend the city (1577) the tower later was turn into apartment house, the home for important people and an studio for artists. 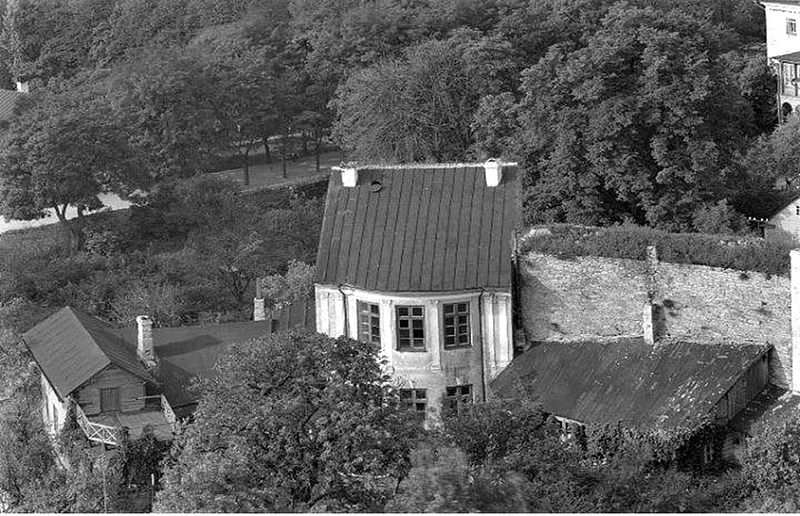 In 1970s the tower was restored and a popular café was opened in the building. 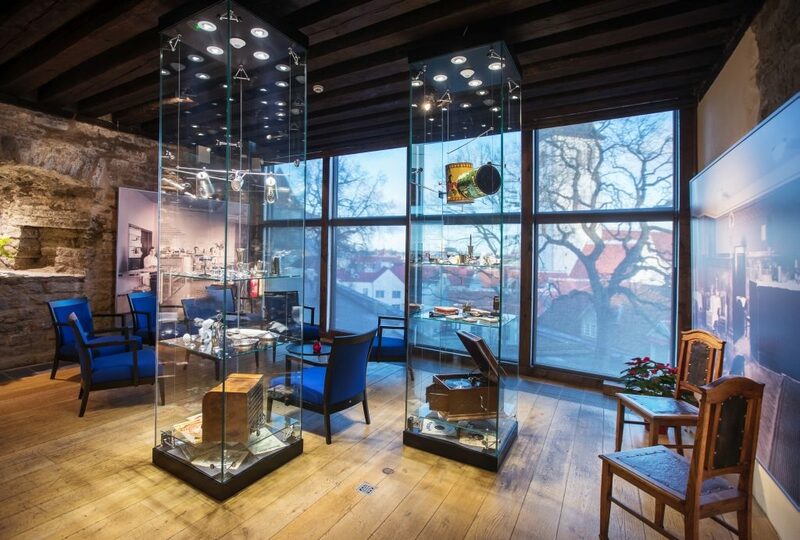 In 2012 the café-museum was opened. 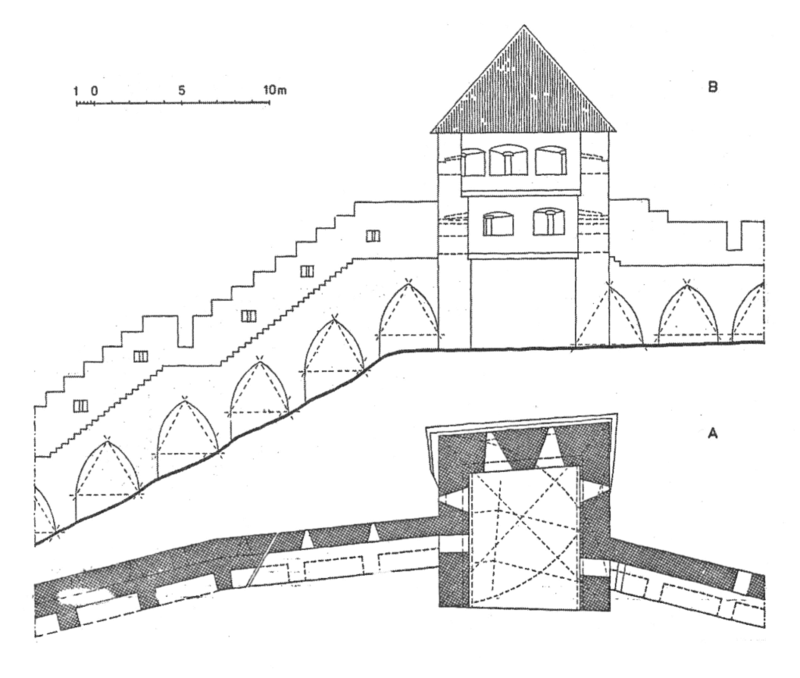 Includes Neitsitorn (the Maiden Tower) and the neighbouring cannontower Kiek in de Kök. 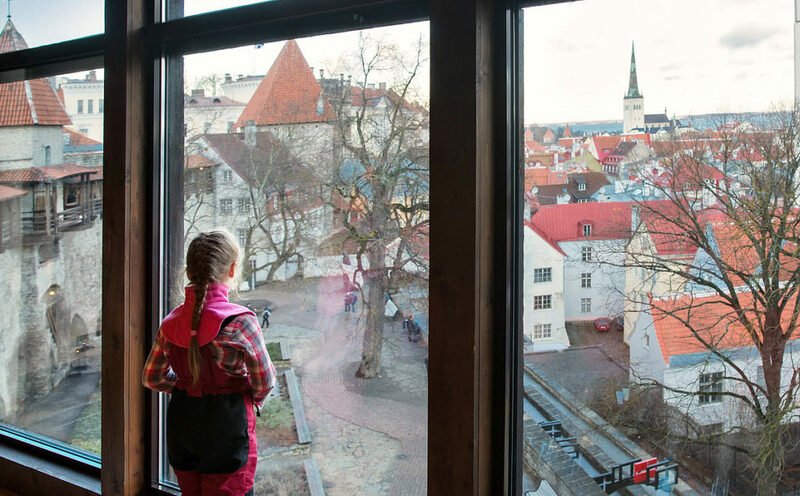 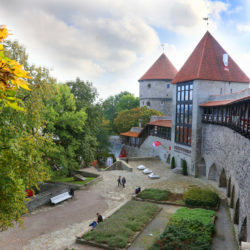 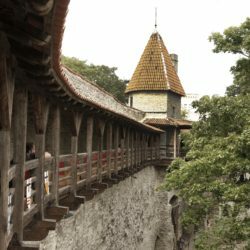 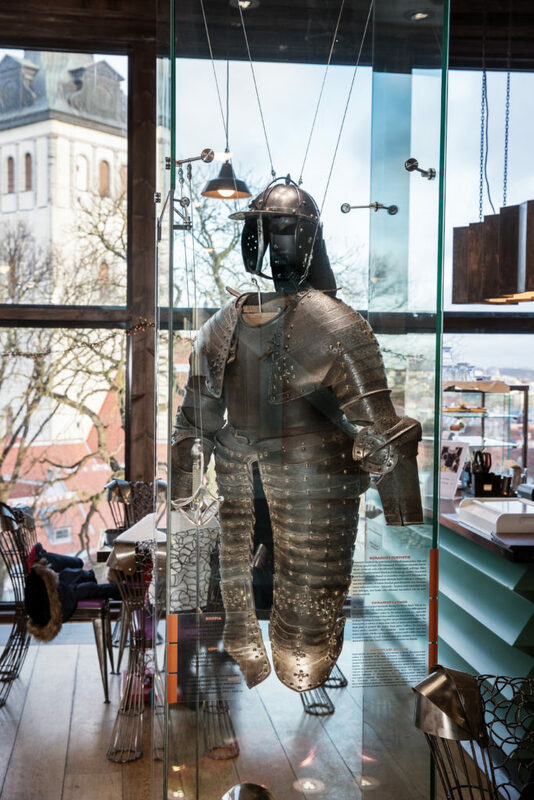 Get a good panoramic view of the Tallinn town, walk along the city wall parapet all through the Maiden Tower and Kiek in de Kök cannon tower down to the bastion tunnels. 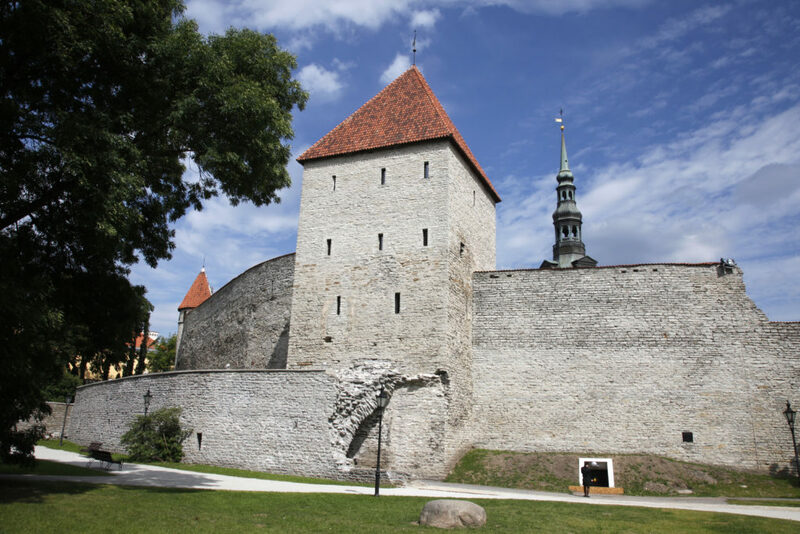 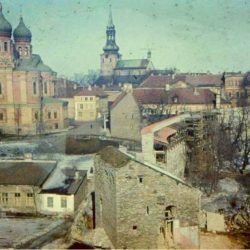 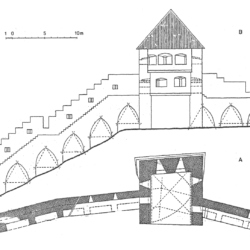 Get to know the fortifications from the 14th to the 17th centuries. 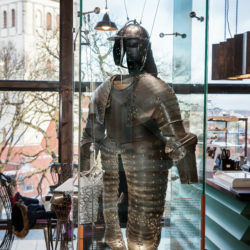 Guided tours have to be booked in advance either by phone (+372) 6012 751 or via email neitsitorn@linnamuuseum.ee. 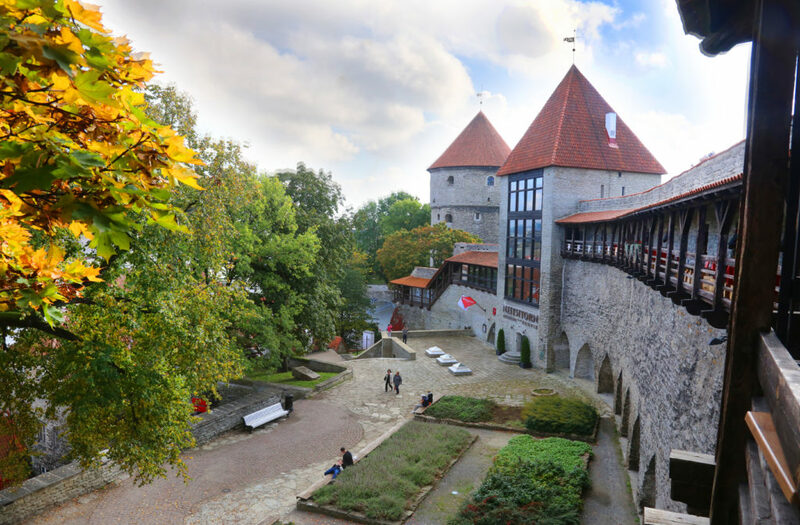 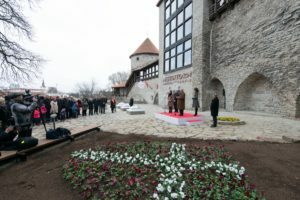 The tour starts from the Maiden Tower and ends at the exit the bastion tunnels near Vabaduse väljak (Freedom Square). 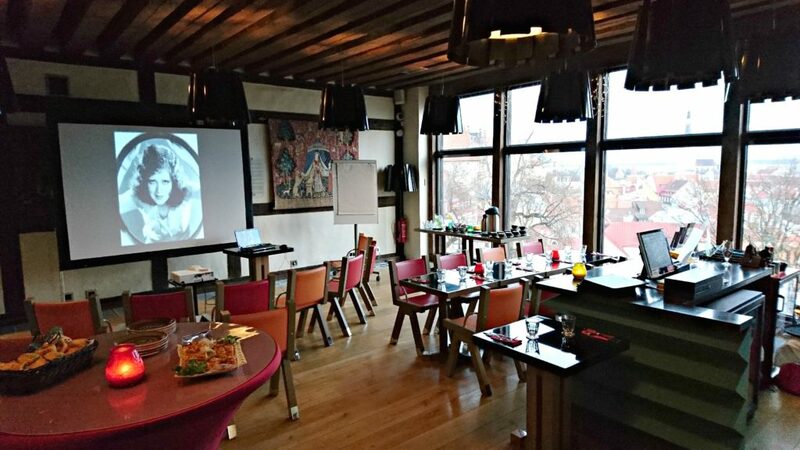 The auditorium on the ground floor is also a great place for organising events.